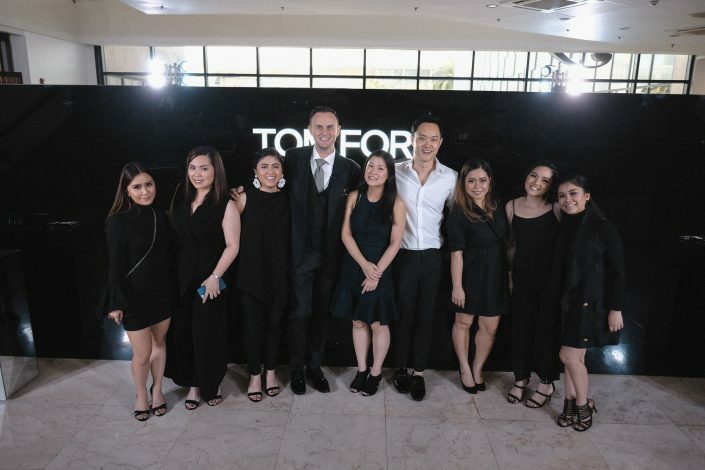 Tom Ford takes over the steps of the Greenbelt 5 Gallery with their launch of their first store in the Philippines. 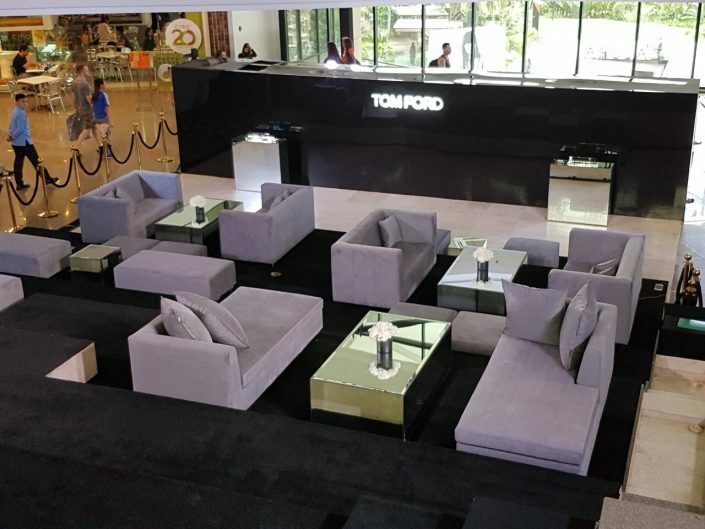 Moss Manila covered the steps with black carpet and provided sleek suede covered furniture for the guests as they listen to the beats of the guest DJ as she performed behind an all black acrylic DJs booth. 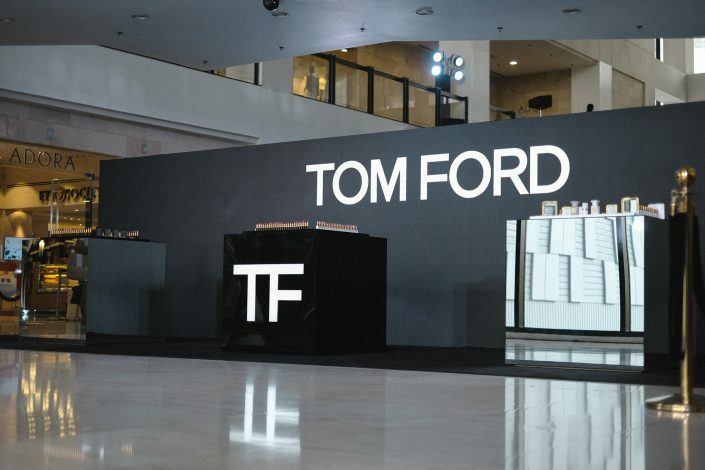 A stretch wall of black acrylic with a seamless execution of a lighted Tom Ford logo acted as a backdrop. 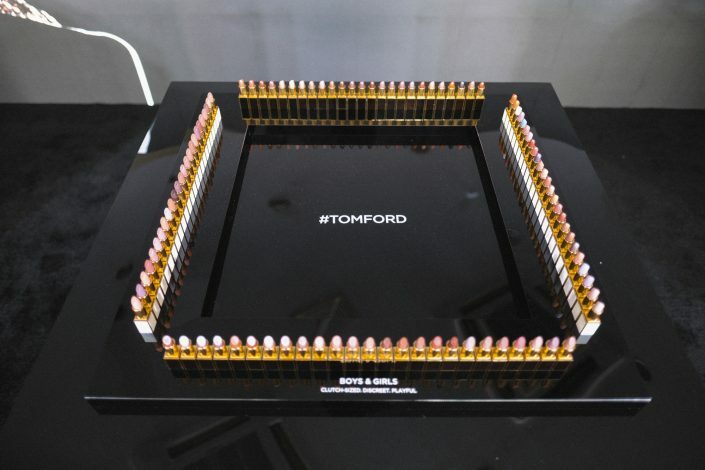 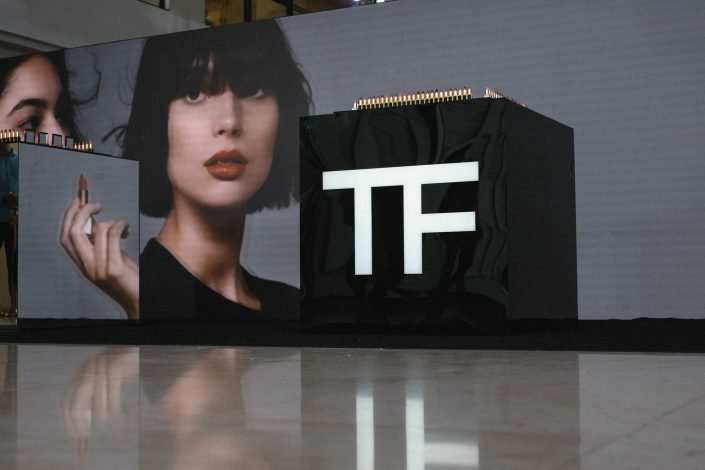 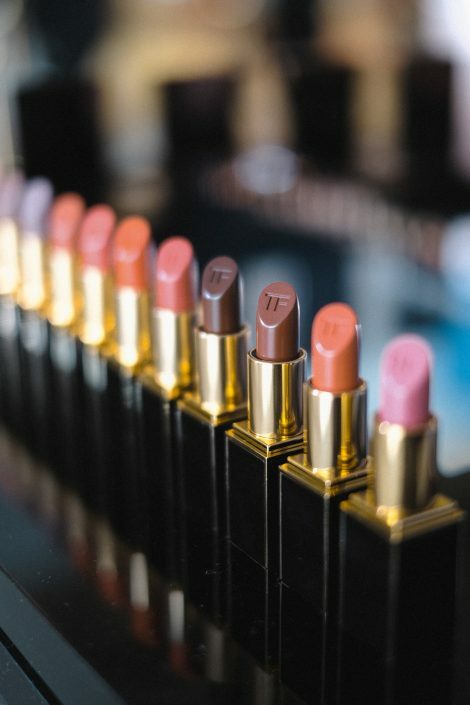 Moss Manila’s full mirror cube display pedestals gave an additional visual wall which played different videos of the collections of Tom Ford—Lip Color, Boys & Girls and Soleil. 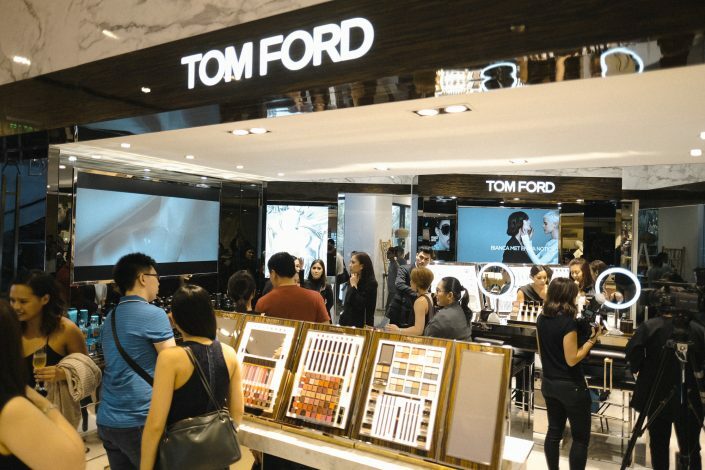 It was surely nice to see guests enjoying after a 2-day ingress for one special brand who trusted Moss Manila.